New Music Video by 84.Paris Re-interprets Stylings of Notorious B.I.G., Snoop Dogg and Billy Lawrence to Caution Against Over-Consumption of Meat. Industrial Meat Production is Harmful to Humans, Animals and the Planet. Nearly 80% of livestock bred for consumption in France is raised through industrial production, generating serious sanitary and environmental problems for the planet. It accounts for 14% of gas emissions worldwide, causes water pollution, and contributes to massive deforestation in certain regions across the globe. The average person eats 86 kg of meat per year in France, twice the world average, and the outlook is gloomy, with the global average set to double by 2050, according to Greenpeace France. In addition to the harmful impact on our environment, livestock raised in industrial production often face deplorable conditions and are treated with damaging antibiotics. The non-profit organization believes we need to act urgently and is launching its new campaign “BBQ Song”, just as the season gets underway. To relay the message Greenpeace France turned to agency 84.Paris who created the music video “You Don’t Need All That Meat”. 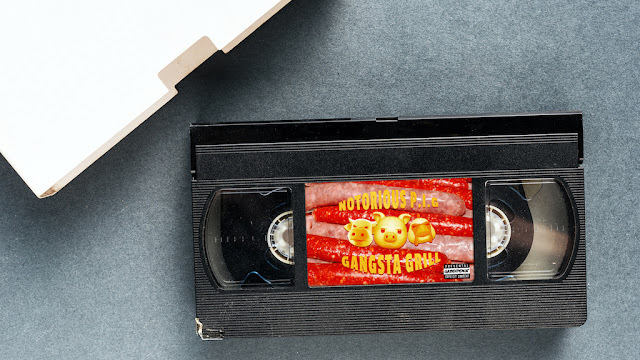 The ‘90s-style video features “Gangsta Grill”, an animoji group consisting of a pig (Notorious P.I.G. ), chicken, sheep, and cow, who encourage us to reconsider what we put on the grill. Interpreted by French beatboxer and imitator Eklips who emulates the stylings of ‘90s hip hop artists and rappers like Notorious B.I.G., B-real of Cypress Hill, Snoop Dogg and Billy Lawrence, the song encourages listeners to reduce their meat consumption, eat locally, and consider vegetable alternatives. 84.Paris is an independent advertising agency that helps brands communicate with new generations. The agency, which counts a team of 35, has received several Cannes Lions including the 2016 Digital Craft Grand Prix (Because Collection), 1 gold and 3 silver, and continues to emphasize its creative positioning. 84.Paris works with, among others, Ubisoft, Facebook, Google, Louis Vuitton, BMW, Nokia, Diesel, Comme des Garçons, Greenpeace and Action Against Hunger. The agency helps brands with strategic positioning, delivering innovative campaigns across all points of contact (social media, retail, TV, press). “We’re inspired by the pop culture (cinema, series, music) we come across every day in order to help our clients adhere to cultural codes and the digital uses of new generations,” explains Hervé and Olivier Bienaimé, 84.Paris’s twin Co-Presidents and Creative Directors.